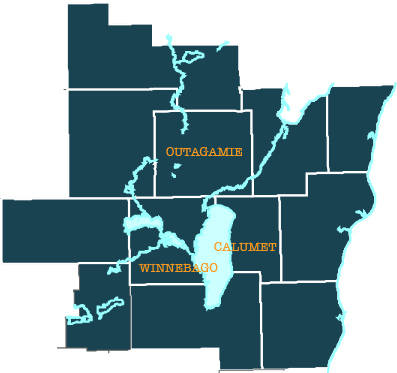 The centrally located Fox Cities Region offers one-day shipping to more than a third of the country’s population. The region’s transportation infrastructure provides speedy, efficient access, whether you’re moving supplies or product by air, truck, rail, or sea. 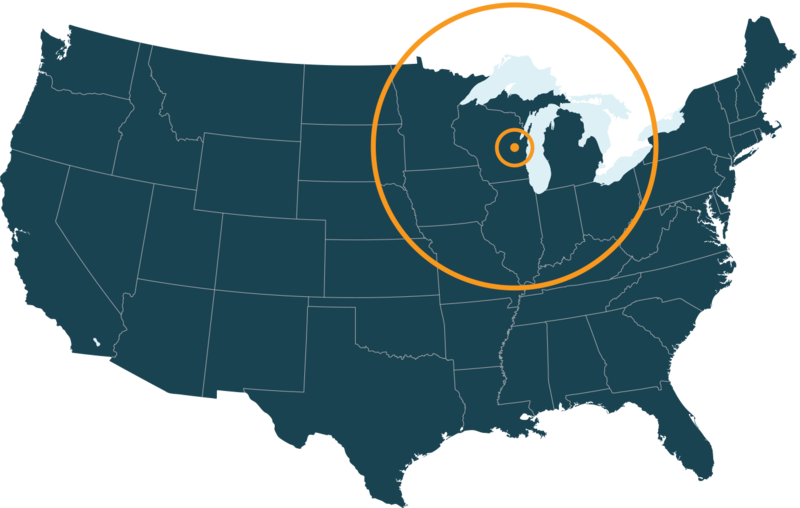 Appleton International Airport (ATW) is conveniently located in northeast Wisconsin, just minutes from the City of Appleton. ATW is a federally certified commercial service airport and offers air cargo service provided by FedEx. ATW also has two runways with lengths of 8,002 and 6,501 feet. In addition, Austin Straubel International Airport in Green Bay is a 30-minute drive from Appleton, and Mitchell International Airport in Milwaukee is approximately 1.5 hours away. It’s official! US Interstate 41 is now running through the Fox Cities region–with placards to be placed in mid-to-late 2015, our comprehensive network of toll-free, controlled access highways just got better! Main thoroughfares in the Fox Cities Region include U.S. Interstate 41, U.S. Highways 10 and 45. Secondary passages are State Highways 47, 55, 76, 96, 114, 150 and 441. Regular and reliable freight railway service is provided to many of the Fox Cities Region’s industrial parks by the Canadian National Railroad. In addition, trailer on flat car (TOFC) and container on flat car (COFC) services are available. See railroads and harbors map. 2014 exports at a rate of $5,020.76 per capita, well above state and national averages. This is a testament to the speed and efficiency of domestic and international access to the region. For more the transportation industry in the Fox Cities Region, please contact us.